Your pet bird deserves the best environment you can create for it. One nice addition that can easily be introduced into your bird’s out-of-cage time is a bird playground or gym. It presents opportunities for your bird to get some exercise while also allowing some extra bonding time between human and avian companions. Benefits of a Bird Playground? Why Does My Bird Need Exercise? Is A Bird Playground Good For Me? The most important reason to get a bird playground is to provide your bird with increased opportunities for exercise. While some bird cages include play tops, the addition of a new way to interact with your bird will benefit you both. 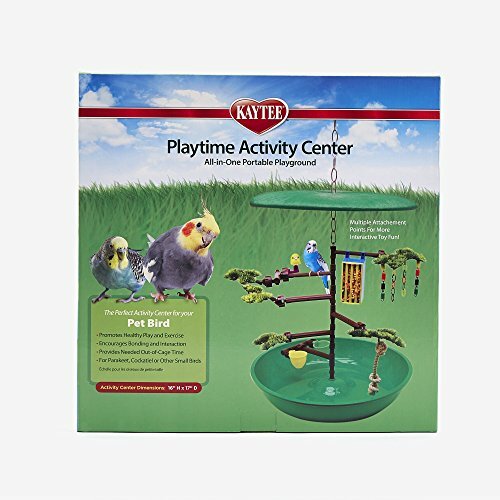 According to petbusiness.com, the addition of a play stand or playground can benefit pet birds of all sizes. If your bird’s wings are clipped, its out of cage time is likely spent climbing on its cage or being handled by you. By adding a play gym to the mix, your bird can now exercise different muscles and enjoy a change of scenery. As birds are creatures of habit, you may find your bird getting excited when it sees you getting the play area set up. This will be seen as another chance to bond with your bird. Fully flighted birds may take more time to develop a liking to the playground, but once they do, will add it to their landing places as they fly around their room. Most portable playgrounds have an easy clean-up base. This makes it a perfect place to offer messy treats like berries and keeps unwanted messes off of you and your furniture..
Boredom in pet birds can lead to behavioral problems such as feather-plucking. 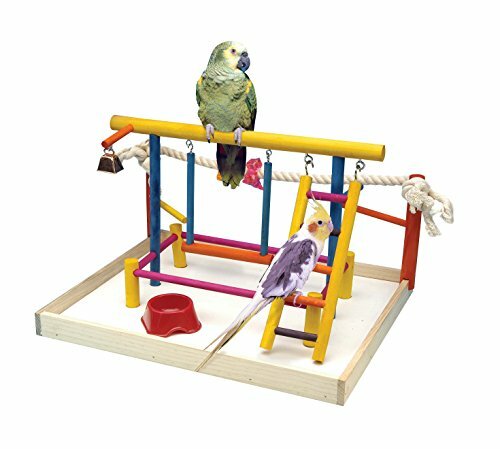 The addition of a play gym can help your bird stay mentally engaged and emotionally healthy. Stronger bone density – This can help avoid problems such as egg-binding. Improved cardiovascular system – A myriad of benefits come with an improved cardiovascular activity including lowered blood pressure, increased oxygen output to the body, and reduced stress and fear. Better nutrient absorption – In the wild, this is not a problem as flight provides the required exercise. In captivity, you need to assist your bird in getting enough exercise to keep its body in balance. Increased physical dexterity and balance – Exposure to varying physical situations will challenge and in the long run increase your bird’s skills much more than simply moving about its cage will ever do. 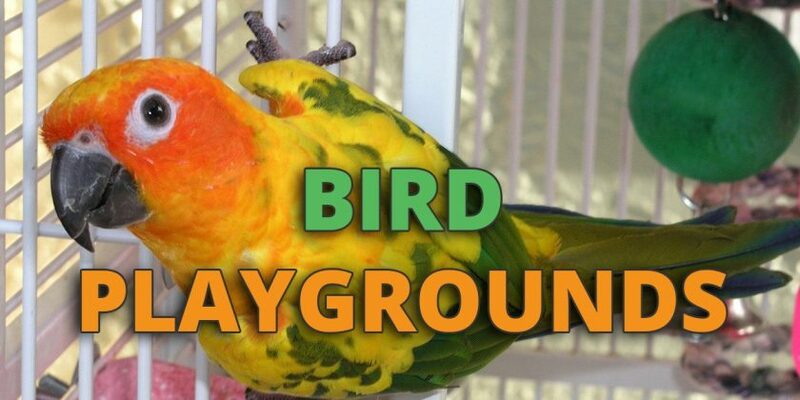 Proper size for your bird – Most portable playgrounds are made for small to medium size birds. Over at birdtricks.com, you can see some more ideas for larger birds. Make sure you have a location where you can comfortably use the playground. Insist on bird safe materials. Avoid plastic construction for birds such as conures with stronger beaks. They could be injured by chewing and breaking pieces of the gym. Ensure that you can hang extra toys on the gym. Birds do get bored and the ability to change the items on the playground will add to its usefulness. Stand-alone playgrounds are available for birds of various species and sizes. 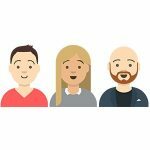 We have reviewed a number of different models below. This playpen is perfect for birds from parakeet size up to cockatiels and conures. It is available in 3 sizes, with the extra large, suitable for conures, having dimensions of 19Lx15W in inches (48.26Lx38.1W cm). Brightly colored to appeal to your bird’s visual senses, the unit is constructed from bird-safe wood. The play gym features multiple perching options and includes a swing and ladder. The addition of a rope game that can be used as a perch or as a toy is a nice touch. A bell rounds out the items included with the gym, and there is room to hang some other toys to entice your pets. A laminate base makes for easy clean up of messes. A nice portable playground for small and medium-size birds. 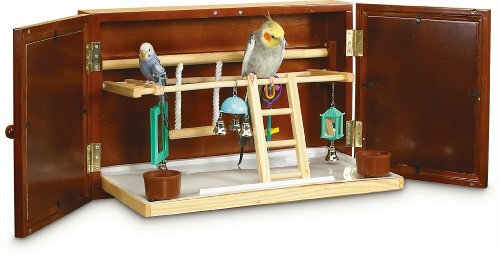 If you have budgies or cockatiels, this bird gym will work nicely for you. This playground offers some space-saving features as it has a small footprint and can be collapsed for easy storage. The base has a diameter of 17 inches (43.18 cm) and the height is 15.75 inches (40 cm). Six adjustable height perches are included with the playground, and they supply ample opportunities to hang some of your bird’s favorite toys. Several toys and two food/water cups are included with the gym. There is artificial foliage attached to the perches, but this can be removed if you desire. A great feature of the base is the ability to fill it with water to offer your birds a bathing opportunity while at the playground. Nice option for owners of parakeets or cockatiels as it offers a unique combination of bathing and play station. Two distinctive features of this playground are the ability to hang it on a wall and the fact that you can fold it up for storage to use while traveling. 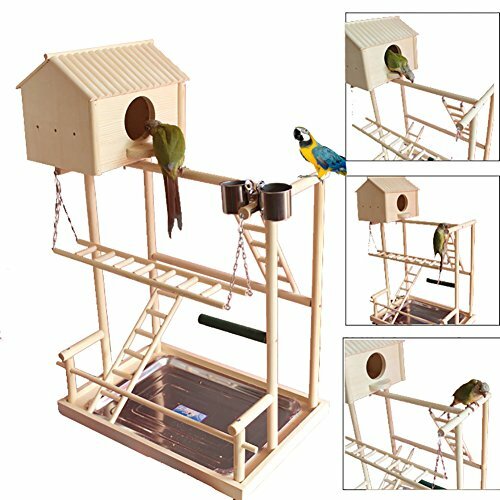 It is suitable for parakeets and cockatiels and has a ladder and swing, though the swing may be a little small for the larger birds. When open the playground is 20Lx12Wx12H inches (50.8Lx30.5Wx30.5H cm) and folds up to be only 3 1/2 inches (8.9 cm) deep. The base has a removable tray, locking dishes, and multiple attachment points for toys. When folded up, the door can hold photos to personalize the gym. A good playground for small birds and makes for a great addition for those who travel with their birds. A small nesting box is included as part of the package with this parrot playground. Its size of 16Lx10Wx15H inches (40.64Lx25.4Wx38H cm) make it suitable for birds up to the size of small conures. There are plenty of exercise options, as ladders and a bridge lead to multiple levels to allow your birds to climb. A removable tray makes for easy cleaning. The playground can be used with or without the nesting box. The box itself can only be used by smaller birds, so you should remove it if your birds don’t fit in it. Constructed of bird-safe wood, the playground has many places to hang other toys to make it a fun place for your birds to exercise. 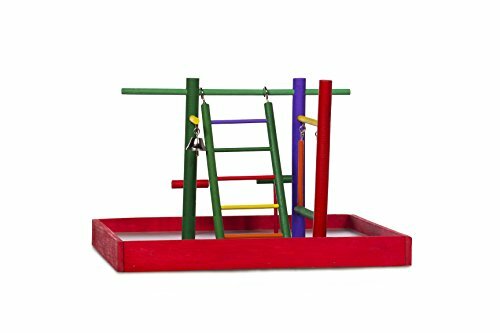 This playground offers plenty of climbing opportunities for your pet birds and will work well with larger birds such as conures. This is a simple playground designed with small birds in mind. It measures 15Lx13Wx10H in inches ( 38.1Lx33Wx25.4H cm) and features a laminated base for easy cleanup. Construction is of solid hardwoods and uses bird safe colors. A ladder, swing, two perches, and a bell give your bird some exercise options when enjoying its playground. As the name indicates, it is meant for parakeets, and a cockatiel will find the swing too small to be usable. This inexpensive playground will work well for birds the size of parakeets. I believe the answer to thisquestion is a resounding yes! Bird playgrounds are relatively inexpensive and can improve the quality of your bird’s life immensely. Combined with the benefits afforded the bird owner, such as increased bonding time and easy clean-up after playtime, most families with pet birds should have at least one playground available. In addition to a bird playground, you might also consider doing some DIY bird toy making, instructions for which is available in our guide here.